This is an update to the Azure Sphere Operating System, Azure Sphere Security Service, and Visual Studio development environment. This release includes substantial investments in our security infrastructure and our connectivity solutions, and it incorporates some of your feedback. Azure Sphere, which is in public preview, is a secured, high-level application platform with built-in communication and security features for internet-connected devices. It comprises an Azure Sphere microcontroller unit (MCU), tools and an SDK for developing applications, and the Azure Sphere Security Service, through which applications can securely connect to the cloud and web. Azure is the first cloud provider to provide a managed Kubernetes service within mainland China. As in the other regions where the service is available worldwide, AKS in China offers users a way to quickly and easily create a Kubernetes cluster on Azure infrastructure, then scale, upgrade, and monitor that cluster with a set of simple and intuitive tools. You must have an Azure China subscription to participate in the preview. PlayFab Multiplayer Servers brings you the expertise and scalability of PlayFab and Azure to get multiplayer games up and running quickly with cloud compute while you focus on the game. 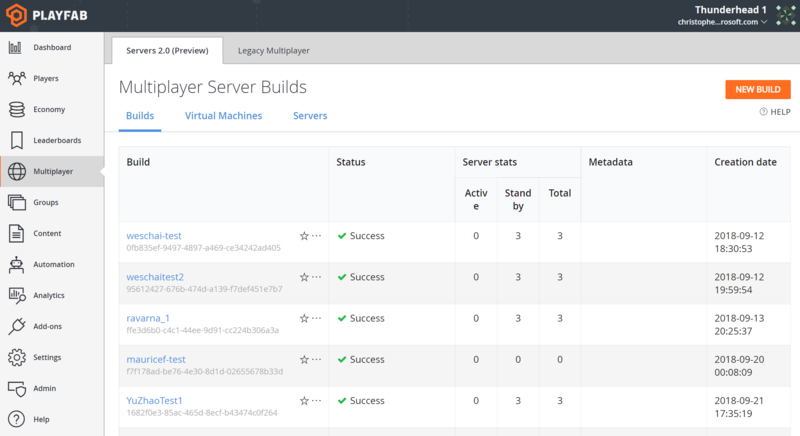 Our re-engineered multiplayer server solution simplifies cloud resource management to enable dynamic, scale-based game servers on-demand. We operate the service and servers, so you don’t have to manage dedicated, on-premises server hardware. PlayFab Multiplayer Servers orchestrates Azure compute resources to reduce your cost and complexity of hosting dedicated game servers. All PlayFab Indie, Pro, and Enterprise tier customers can access the service and use a limited, free quota of Multiplayer Servers for product evaluation and testing. Azure Security Center now provides you with several new capabilities to help you secure your containers, including: visibility to the containers hosted on IaaS Linux machines; security recommendations based on the CIS benchmark for Docker; and real time container threat detection. To start securing your containers, public cloud customers can take advantage of the public preview of this capability in the Standard tier of Security Center. Azure Cognitive Services containers are now in preview, making it possible to build intelligent applications that span the cloud and the edge. 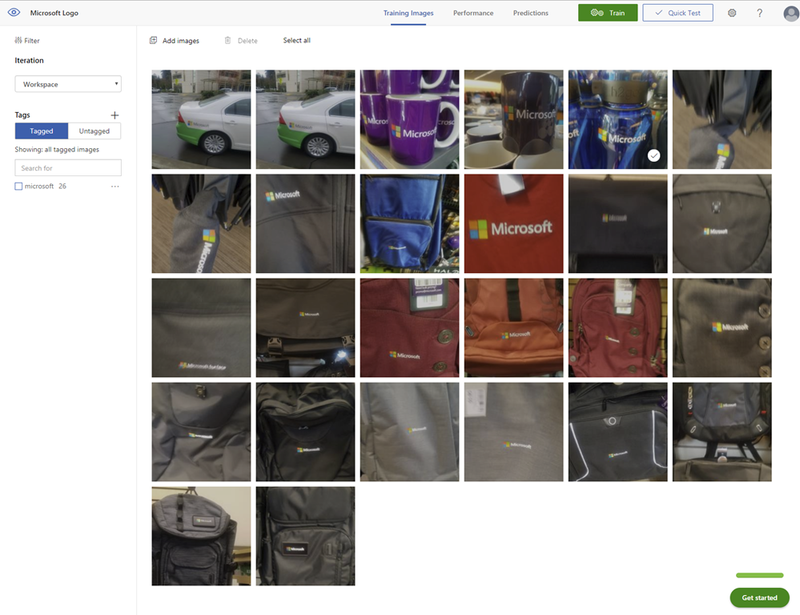 Azure Cognitive Services allow developers to easily add cognitive features—such as object detection, vision recognition, and language understanding—into their applications without having direct AI or data science skills or knowledge. By deploying Cognitive Services in containers, you can analyze information close to the physical world where the data resides, to deliver real-time insights and immersive experiences that are highly responsive and contextually aware. Cognitive Services containers enable you to build one application architecture that is optimized to take advantage of both robust cloud capabilities and edge locality. The Virtual Assistant solution accelerator is an open source bot solution accelerator for virtual assistants and simplifies the creation of branded virtual assistants, enabling developers to get started in minutes. The Bot Framework SDK and Tools version 4.1 is generally available, enabling developers to be more productive with bot development. 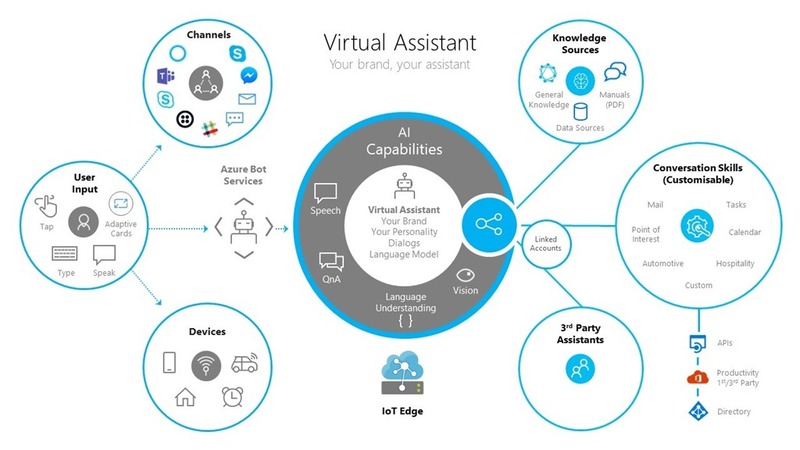 The Virtual Assistant builds on the Enterprise Template capabilities which provide foundational capabilities for conversational experiences including base conversational intents in multiple languages, Dispatching, QnA and conversational insights. Also covered in this post, Microsoft signed an agreement to acquire XOXCO, a software product design studio most known for its conversational AI and bot development capabilities. Marc Mercuri, Cale Teeter and Cody Born introduce Block Talk, a weekly show on blockchain and cloud from the Azure Blockchain engineering team. You can now use the global cloud database MongoDB Atlas for free on Microsoft Azure. The newly available free tier on Azure is known as the M0, and grants users 512 MB of storage which is ideal for learning MongoDB, prototyping, and early development. The Atlas free tier will run the latest version of MongoDB, one of the most popular databases on the planet. Like larger MongoDB Atlas cluster types, M0 clusters can grant users optimal security with end-to-end encryption, high availability, and fully managed upgrades. M0 clusters also enable faster development by allowing teams to perform create, read, update, and delete (CRUD) operations against their data right from their browsers via the built-in Data Explorer. The Spark Interactive Console in Azure Toolkit for IntelliJ is now available. This new component facilitates Spark job authoring, and enables you to run code interactively in a shell-like environment within IntelliJ. The Spark console includes Spark Local Console and Spark Livy Interactive Session, and has a built-in language service for Scala programming. The addition of the Spark console is an important step forward for the Azure Toolkit because of its expanding capabilities beyond batch job processing. This update also supports interactive querying across local and dev/test clusters. This month's release of Azure Blockchain Workbench 1.5.0 focuses on two key themes, making Workbench easier to deploy and simplifying the process of developing and testing your end to end blockchain solutions. We streamlined the deployment template with default values and easier Azure Active Directory (AAD) integration. We also added guidance on how to use Application Insights to troubleshoot issues, added robust telemetry, and more targeted error messages to help you pinpoint issues faster. Recently at the Microsoft Experiences18 conference in Paris, we shared that Microsoft Azure, Microsoft Office 365, and Microsoft Dynamics have been granted a Health Data Hosting (HDS) certification. This makes Microsoft the first major cloud provider capable of meeting the strict standards of storing and processing health data for data centers located in France, and under the new certification process that began in June 2018. Azure France includes France Central region based in Paris, and France South region in Marseille. France Central now offers three availability zones for increased availability, resiliency, and business continuity. Azure Aladdin helps make using Azure easier. The first interface was a Microsoft docs extension that provided users content recommendations. 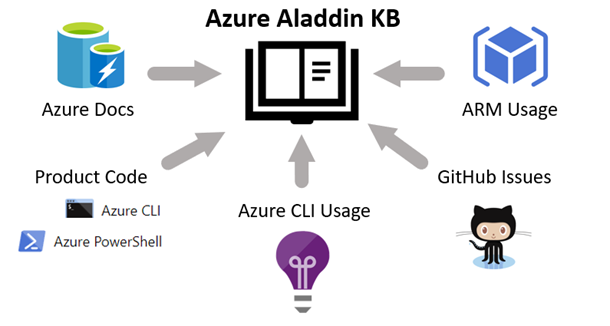 The next interface to the Aladdin knowledge base is an experimental Azure Command-line interface (CLI) extension (az find) that provides insight and examples based on how other user have seen success using Microsoft Azure. Add the extension (az extension add -n find) and check it out. Microsoft is donating cloud hardware and services to Carnegie Mellon University’s Living Edge Laboratory. Carnegie Mellon University is recognized as one of the leading global research institutions. Earlier this year, the university announced a $27.5 million semiconductor research initiative to connect edge devices to the cloud. The Living Edge Laboratory is a testbed for exploring applications that generate large data volumes and require intense processing with near-instantaneous response times. Microsoft will donate an Azure Data Box Edge, Azure Stack partnering with Intel, and Azure credits to do advanced machine learning and AI at the edge. All the co-hosts are in the house for a change, having a fascinating discussion with Péter Bozsó, an Azure AppDev Consultant from Microsoft, Hungary. He gives us all the info on how to start writing Chatbots in Azure including tips and tricks, what not to do, etc. Corey Sanders, Corporate VP - Microsoft Azure Compute team sat down with Kay Singh, Senior PM on the Azure compute team to talk about Disk Images! Introducing Shared Image Gallery with image versioning, End of Life metadata and more. Scott Jeschonek joins Azure Friday and Lara Rubbelke to introduce Avere vFXT for Azure, a new Azure Marketplace product with big possibilities for high-performacne computing (HPC) environments. Avere vFXT for Azure solves the core issue of running performance-demanding workloads that require NFS backends in the cloud, leveraging either on-premises storage or Azure Blob, without the expected latency or storage bottlenecks inherent to read-heavy processing. Maxim Lukiyanov and Scott Hanselman discuss intricate ways in which Apache Spark jobs can fail in production and how new diagnostics tools, now available in Azure HDInsight, visualize these problems in a new intuitive way and help discover and understand them from the first glance. Come learn about the importance of restricting access to your IoT solution and how to implement role based access control. Take a quick tour of computer vision and see an example of how we used a custom vision, object detection model to solve a fun use case. Data Preparation is generally regarded as taking 80% of the resources for an advanced analytics project, but does it really. Why is it so hard? What's the difference between prepping and modelling? What is featurization and how does it fit in? All these questions and more will be answered in the show, we will even shock and wow Seth with some demos. Create your own photo-sharing social media platform with Visual Studio Tools for Xamarin and Azure. 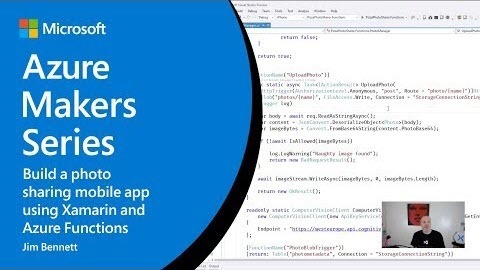 Learn how to build a mobile app that runs on iOS, Android, and Windows, complete with a serverless backend and photo storage! You can even add AI capabilities to moderate content, add photo captions, and more. 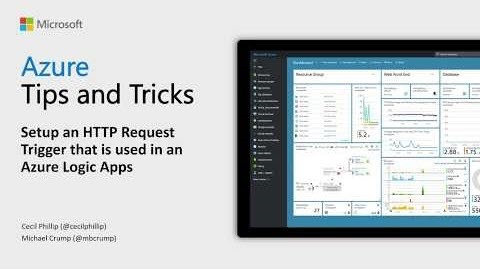 Learn how to create a HTTP Request Trigger that is inside an Azure Logic App. You will also learn how to apply a JSON Schema to validate the HTTP Requests. This episode Jeffrey Palermo brings you a live recording from the Microsoft Ignite event. 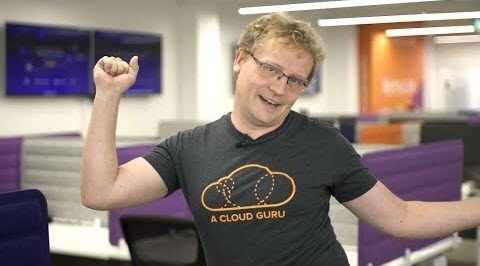 Today, he’s talking with several people, including Greg Leonardo, an Azure MVP and Cloud Architect; Josh Gaverick, an MVP in Application Lifecycle Management and an Senior Application Architect at 10th Magnitude; Rob Richardson, a Microsoft MVP in ASP.NET who also builds web properties for small and medium sized businesses; and Colin Dembovsky, an ALM MVP and Cloud Solution Architect at 10th Magnitude. As covered above in Bringing AI to the edge, Azure Cognitive Services containers are now in preview. Containerization helps developers build big AI systems that run at scale, reliably, and consistently in a way that supports better data governance. Check out this post to learn how you can get started using them today. Get an overview of developing hybrid applications with Azure Stack, which is an extension of Azure that brings the innovation of cloud computing to build and deploy hybrid applications anywhere. Learn how you can focus on creating code for your solution rather than researching which resource types, API versions, and clouds work together. Use API profiles to enable your code to work across the Azure clouds that support your specific profile. Download the Azure Stack Developer Kit and check out the resources listed in this blog post to get started. The holiday season is an enticing time for hackers thanks to the combination of increased traffic volume due to an uptick in eCommerce that helps disguise hackers from detection, and reduced staff. All of which makes this time of year too attractive for cyber-criminals to pass up. Learn how Azure DDoS Protection provides countermeasures against the most sophisticated DDoS threats. The service also provides enhanced DDoS mitigation capabilities for your application and resources deployed in your virtual networks. Learn how Microsoft Azure can help you gain security expertise without additional investment through our operational best practices and a global team of over 3,500 cybersecurity experts. This post takes a look at four operational practices our security experts follow to help ensure your data is secure: secure development practices; restricted and just-in-time administrator access and secure access workstations; fast and expert responses to threats, and a team of cyber security experts. Every year at Supercomputing, over 12,000 researchers and practitioners come together to push the state of the art in high-performance computing forward. Microsoft joined the global HPC community in Dallas this week at SC18. This post includes links to our various presentations and activities. How to get involved in the Azure Monitor AMA! On Thursday, November 15th, the Azure Monitor team hosted an AMA session on Twitter. You can read through the questions and answers by searching Twitter for #AzureMonitorAMA. Microsoft’s own experience moving to the cloud, as well as working extensively with government agencies, offers several useful lessons to CIOs and IT leaders for developing a successful roadmap to a multi-cloud and hybrid IT world. Based on this experience, Susie Adams Chief Technology Officer, Microsoft Federal, covers five recommendations in this post for a successful roadmap, including: rationalize apps; build a solid foundation; use built-in services; establish an identity layer, and adopt an assume-breach strategy. There’s a growing demand for smart buildings which offer multiple benefits for building owners, managers, and tenants. Some of the trends, scenarios, and payoffs just might surprise you. The applications for IoT and smart buildings are seemingly endless. To explore smart buildings in more detail, be sure to register for our IoT in Action webinar, IoT Is Smart for Your Buildings on November 29, 2018 to explore how you can harness IoT to revolutionize building performance. Find links to more resources, including a two-day IoT in Action Virtual Bootcamp, in this post. Spektacom was born with the idea of using non-intrusive sensor technology on cricket bat to harness and power the convergence of data from sticker of “power bats” with insights driven from cloud-powered data analytics, machine learning, and artificial intelligence. Spektacom's "power bats" is an innovative sensor-powered sticker that measures the quality of a player’s shot by capturing data and analyzing impact characteristics through wireless sensor technology and cloud analytics. This unique non-intrusive sensor platform weighing less than 5 grams is stuck behind the bat as a sticker to measure the quality, speed, twist, and swing of the bat and the power transferred from the ball to bat at impact. Announces a new partnership between Microsoft and View to develop innovative applications for smart buildings. As part of this partnership, View will leverage their expertise in smart buildings and utilize multiple aspects of the Azure IoT platform to accelerate their solutions development. For example, View will leverage Azure Digital Twins for access control and other smart buildings applications, as well as Azure IoT Edge and Azure Sphere for its window and floor controller devices. The first solution, View SmartProtect, is being announced today. View SmartProtect is a smart window-based, building security solution that automatically and instantaneously detects glass breakage. At PASS Summit 2018, Taboola, a discovery platform, shared how they are tackling the challenge of taking billions of lines of log data, exploring it to identify and act on hidden gems of information with the help of Azure Data Explorer, a lightning fast service optimized for data exploration. Azure Data Explorer allows users to get instant visibility into very large, raw datasets in near-real time to analyze performance, identify trends and anomalies, and diagnose problems. Azure Database for PostgreSQL and MySQL service is a fully managed, enterprise-ready cloud service which emits the performance metrics and telemetry log to Azure Monitor service. Datadog is an essential monitoring platform for cloud applications. Datadog’s vendor supported integrations with Azure Database for MySQL and Azure Database for PostgreSQL collect time series metrics, metadata, and custom tags from Azure Monitor and Azure Resource Manager to allow for flexible dashboarding, alerting and analytics. Additionally, Datadog has agent-level PostgreSQL and MySQL integrations that collect deeper and more fine-grained database metrics and logs. This time on Azure This Week, Lars talks about Azure SQL Data Warehouse’s new productivity and security capabilities. He also discusses Static Data Masking for Azure SQL Database and SQL Server. Finally, he talks about the preview of Machine Learning Services with R support in Azure SQL Database.